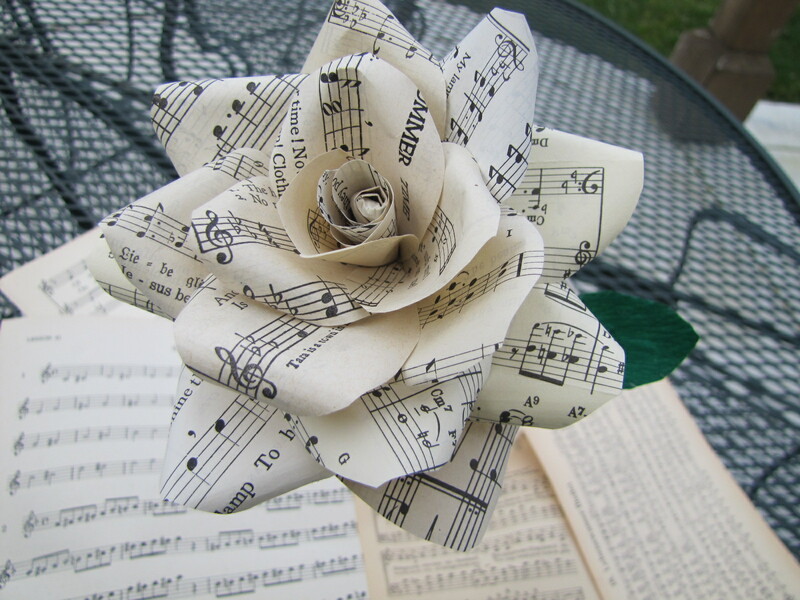 Vintage sheet music Rose | Flower Bazaar- Home Of Everlasting Flowers ! how do you make this?!?! i cant find how to make a rose that is folded in this manner. Please halp! Would like to use it for my daughter sweet sixteen its a music theme and would to made a bouquet for her..
Do you make it to sell? Would like to know you make them to sell…. Would love to get in context with you. Big big party coming up and it’s a music theme….